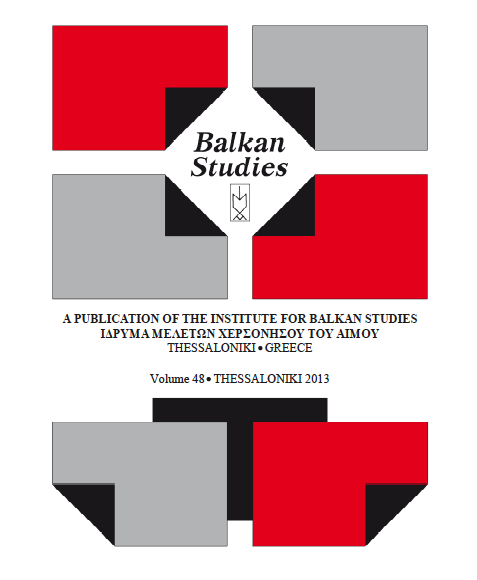 The Bulkes Experiment: A "Greek Republic" in Yugoslavia 1945-1949 was written by Milan Ristovic - published in the journal Balkan Studies, Volume 46, 2012; Institute for Balkan Studies. Copyright by the Institute for Balkan Studies. The users take the right to read, download, copy, print, search, distribute or link to the full text of the articles. The Varkiza Peace Agreement on February 1945 ends communist insurgency which started in December on the streets of Athens. The Agreement which included disarmament of ELAS units and amnesty should create conditions for political solution of the Greek crisis. But, for several thousand most radical ELAS members the new situation was unacceptable and was equal to capitulation. Therefore, they preferred to emirate. Most chose Yugoslavia as their destination where they joined the already present refugee groups, while the others went to Bulgaria and Albania. Most of them were ELAS members from frontier areas, predominantly Greeks but also numerous Slavo-Macedonians. Reception and permanent camps have been organized for emigrants and . . . .